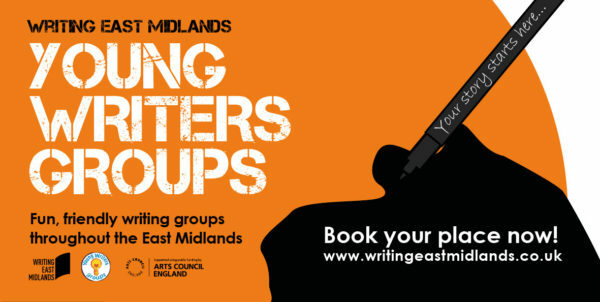 Writing East Midlands’ Young Writers’ Groups are all by professional writers and not only are they fun and friendly, they offer a fantastic introduction to the world of creative writing. They currently run groups in 6 areas – Ashbourne (9-16 yr olds), Chesterfield (9-14 yr olds), Leicester (14-17 yr olds), Nottingham (11-15 yr olds), (Corby 9-15 yr olds) and Wellingborough (9-15 yr olds). As well as regular workshops, young writers take part in summer schools, performances, competitions and receive their e-zine with news, opportunities and work by other young writers. Visit their website to find out more. This writing group is based in the East Midlands of England.